MickeyTravels is excited about our new initiative – The MickeyTravels Agent Virtual Meet & Greet. We will feature a different MickeyTravels agent on a daily basis. We’re proud to have the best Disney Travel agents in the world as part of our MickeyTravels team and this will allow you to get to know them even better. Today the spotlight shines on Jennifer Grimes from North Carolina! First memory of Disney? 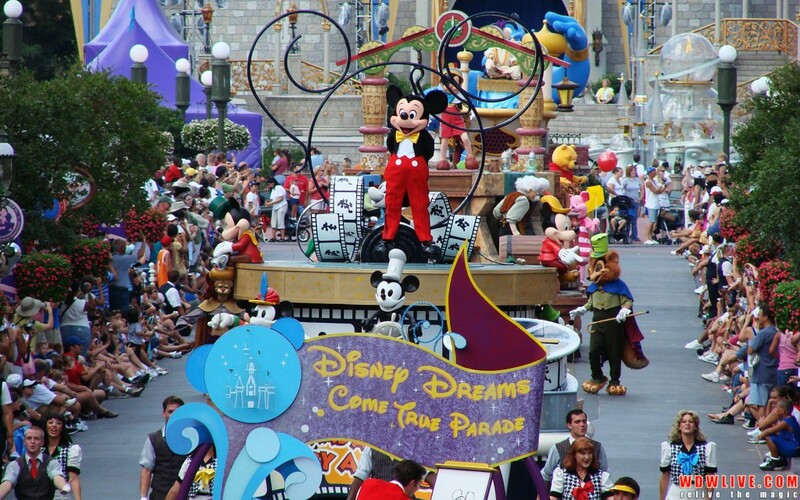 I was 8 on my first trip, and I remember watching the parade while wearing my Mickey ears (with my name stitched on the back of them) while eating a Mickey Mouse ice cream bar. What makes Disney MAGICAL in your eyes? Everything! From the rides, to the fireworks, to the parades, and to every little experience, the attention to detail and excellence is evident. I especially love how my kids light up when they are there and how they are treated like a prince and princesses. Our family makes magical memories at Disney. Favorite Disney destination and why? The Magic Kingdom because it’s perfect and magical. Favorite Disney Character and why? Cinderella is my favorite character because she is nice to her stepmother and stepsisters even when they are not nice to her; she is a true princess. And, because she has her own castle! Favorite Disney Attraction and why? Mickey’s Philharmagic and Fantasmic are my two favorite attractions. They both sum up the magic of Disney in just a few minutes. I can’t go to Disney World without seeing both of these attractions. Favorite Disney Resort and why? The Wilderness Lodge is my favorite deluxe because of its proximity to Magic Kingdom. I also love the décor and the pool. My favorite moderate is Port Orleans-French Quarter because of the New Orleans feel and the beautiful landscaping. Art of Animation is my favorite value because of the amazing pool and the fun Disney décor. Favorite Disney Restaurant and why? 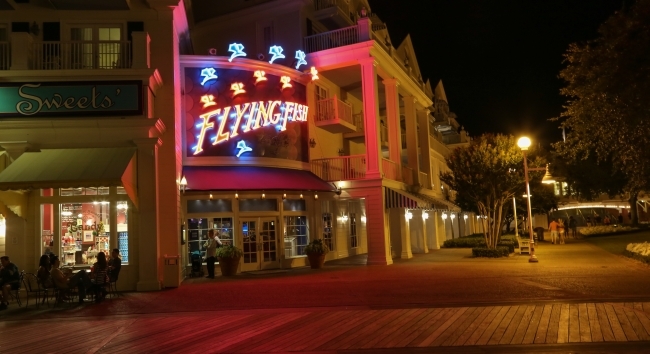 I love Flying Fish on Disney’s Boardwalk; the food is excellent and sophisticated, and the service is superb. The Tusker House is by far my favorite character meal because of the African flare of the food, and because you can’t beat meeting Donald (#1), Mickey, Minnie, and Goofy while eating your meal! Favorite Disney Quick Service Restaurant and why? Anything in Epcot’s World Showcase because it is so fun to try international foods. 3 Disney characters you’d like to have dinner with and why? What, pick three? I can only narrow it down to 5. I would choose Flynn Rider (Eugene Fitzherbert), Rapunzel, Tiana, Prince Naveen, and Charlotte. Their stories are the right mix of adventure, romance, intrigue, and humor. Every time I watch those movies I am on the edge my seat, laughing, and feeling sentimental. Plus, they are just really great stories, and the characters would be great to spend an evening with- especially Charlotte and Flynn Rider, they crack me up! Favorite Disney snack and why? 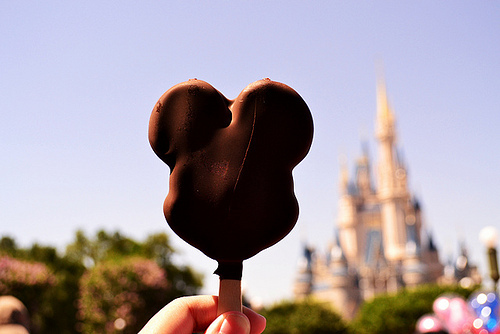 Of course it is a Mickey Mouse ice cream bar! Favorite Disney Movie and why? I love all of the Disney movie so much, but I think one of my favorites has to be Fun and Fancy Free. It has Mickey, Donald, and Goofy in it, and it Mickey is voiced by Walt Disney himself! 3 Favorite Disney Songs and why? “So This is Love” because Cinderella sings beautifully, “I Had a Dream” from Tangled because it is so well written and funny, and “Pretty Irish Girl” from Darby O’Gill and the Little People, because it is such a sweet song and Sean Connery sings it! Disney character you’re most similar to and why? I think I would choose Rapunzel because she likes a little adventure, she is determined, and she is loyal. If you could be one Disney mascot for a day who would it be and why? 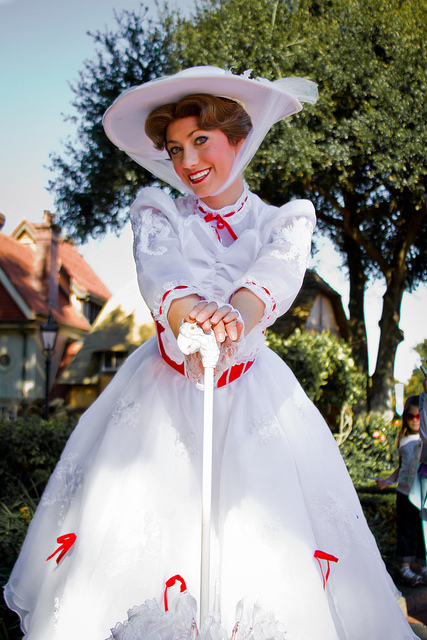 Mary Poppins because I could be Practically Perfect in Every Way for a day, and I would really like to wear her white and red dress. If you could work at one of the Disney theme parks, what job would you want and why? I think I would be happy with any job at Disney, but I being a Photopass person would be something I would like to do. I would get to be outside and in the parks, and I would get to capture the guests magical memories. Best part about being a MickeyTravels Disney Travel Agent? Most definitely the best part is helping my clients create magical memories at the Happiest Place on Earth! Why should I book my vacation with you? I treat every vacation like it is my own, because I know how magical a Disney trip is. My family has made such wonderful memories at Disney, and I want all my clients to have the same experience. I also will plan every aspect of a Disney vacation, down to the smallest detail.